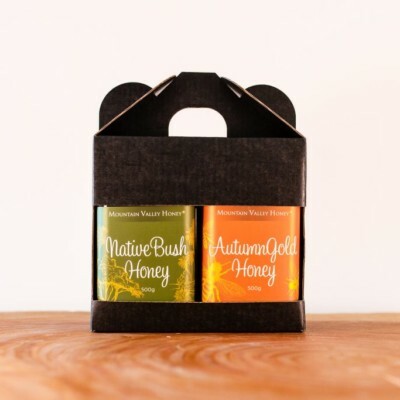 The Mountain Valley Honey trio gift pack is the perfect way to try our GREAT honey products! 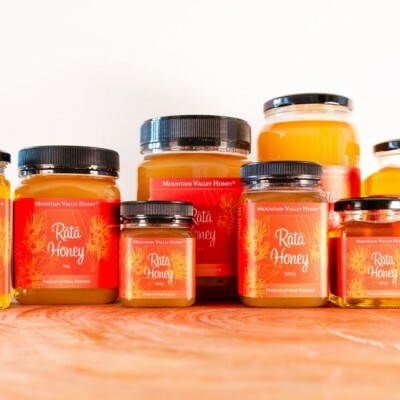 100% natural honey goodness. 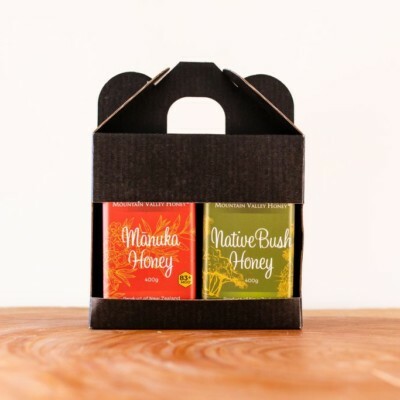 This gift pack includes Native Bush Honey, Manuka Honey and Kamahi Honey. 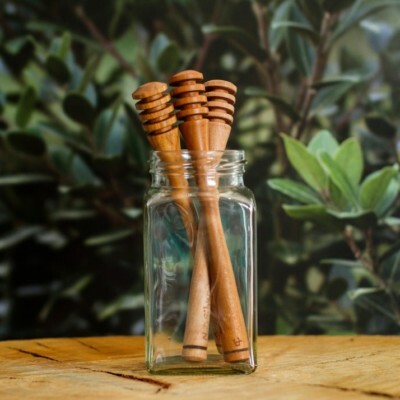 Add a honey drizzler for a special Kiwi present from the Nelson region that makes the perfect gift for your honey lover. 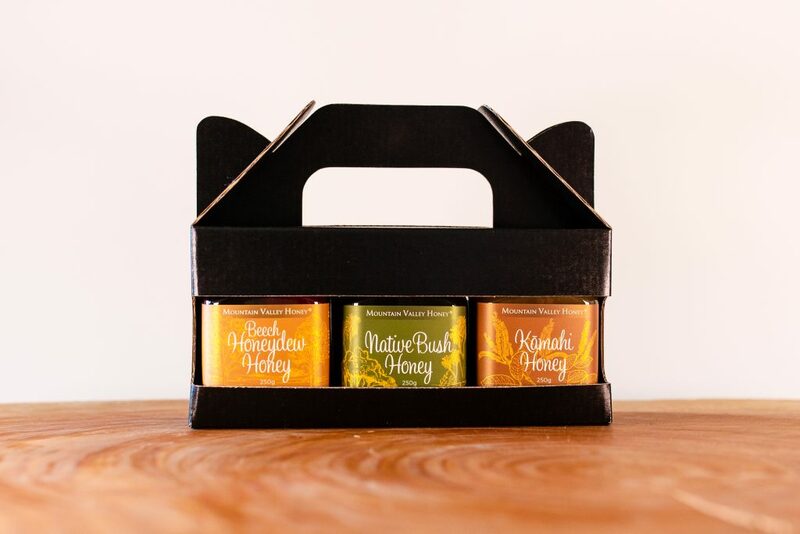 Choose any three of our available honeys in 250g Plastic Pots.